Summary: I departed a visit from my mom in Belleville, MI the day before and drove straight through to Norman, OK. The next day there was a risk of severe weather, including the possibility of tornadoes for the Eastern TX Panhandle and Western, OK. We headed out to Shamrock, TX and then as storms began to fire in the Red River Valley we headed south to Childress, TX. Two storms formed and we followed the lead storm out of Childress leaving tail end Charlie to the south. 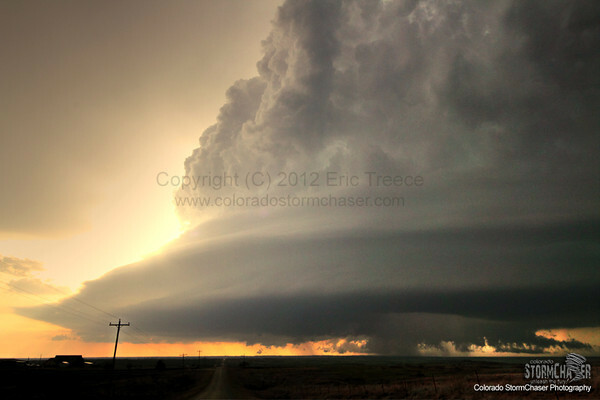 The storm we were on had excellent supercell structure. The storm really took off near Hollis, OK with some breathtaking structure! We stopped numerous times to do time lapse video and just soak it all in. I got separated from Ben and as I approached the storm near Willow, OK it put down 2 tornadoes. 1 brief tornado near Reed, OK and it was a 3 tornado kind of day!